This farm is simply in a league of its own when it comes to premier recreational properties in the Carolina's. 545 Acres located in SE North Carolina with over 1.5 Miles of River Frontage along the Cape Fear River. Located just minutes from I95 this property has easy access to downtown Fayetteville and is only 1.5 hours from Wilmington. This recreational retreat features a 2800 sqft custom lodge, a large barn, world class dog kennel and numerous other structures. 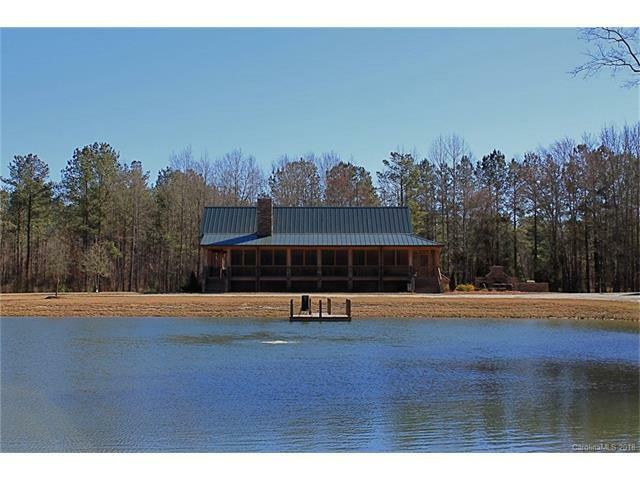 In addition, the property has 2 ponds, multiple waterfowl impoundments, and custom deer stands. The property has been professionally managed for over 5 years strictly for wildlife. Additional details include - 80+ acres in agricultural fields, managed timber, 3 phase power, multiple pumps and infrastructure, waterfowl release site, plus much more. This property is hunters dream... Ducks, Deer, Turkeys, Bear, Quail just to name a few. 2 stocked ponds feature Bass, Bream, Hybrid Striped Bass, and Catfish. Call for a Package.